Tips to improve your life and circumstances using easy and quick feng shui principles will make your home a receptacle for auspicious chi energy. The chi energy should be able to enter and move about your home to usher in positive energy of opportunities, wealth, health, and abundance. Most of the feng shui tips don't cost money to achieve. The majority of fixes only cost time and physical effort on your part. Take advantage of these top 10 quick fixes feng shui quick tips anyone can use. Chi energy stagnates whenever there's clutter. Messy crowded closets, drawers, stacks of papers/books, and piles of clothes are the worst culprits for bogging down chi energy and your life. 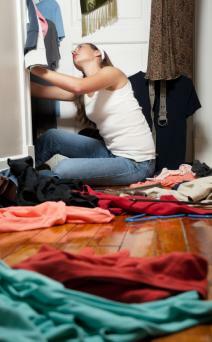 Free up this trapped energy by sorting, removing, giving away forgotten articles of clothing and organizing. Don't let dirty dishes pile up in the sink or trash to overflow receptacles. Use a closet organizing system to get the most out of your storage space. Use a declutter list to help you stay on track. Rearrange furniture to help the chi energy to move freely around your house. Visualize the chi energy as water entering your home and attempting to flow from room to room. Move the furniture out of the natural pathways and don't overcrowd rooms with furniture. Leave space enough between pieces of furniture so the chi energy can move about the entire room. Lillian Too advises that by moving your furniture just a little, you can free up chi energy. The feng shui guru suggests moving furniture 18 inches from its existing place to force the energy in a space to shift and instantly re-energize the room and your life. 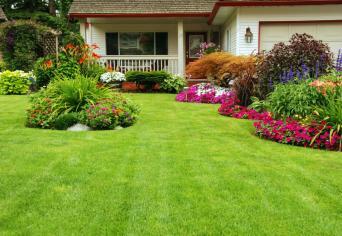 Curb appeal isn't just for selling a home. Clean up the yard and dispose of limbs, leaves, and other debris. Make sure pathways and walkways to the front door are clean and accessible. Repeat for all other entryways into your home. Trim overgrown shrubbery or replace older ones that are too big. If a tree is directly in front of a door, counter it with a wind chime. Two of the sneakiest drains on your finances are leaky faucets and toilets that leak or run all the time. Invest a few dollars to replace the system in your tank if your toilet doesn't drain and fill up properly. If faucets leak, replace worn washers or other plumbing parts. When you have leaky faucets and toilets, your finances are being syphoned off with unexpected expenses or a constant out flow of income and resources. An excellent way to stimulate chi energy for your finances or career is to add a water fountain in your home office or inside the entrance of your home. Make sure the fountain flows into your home or office and never towards the door. You can opt for an aquarium if you prefer. Place it in the North sector of your home or office to stimulate the career sector or in the Southeast to activate the wealth sector. Have at least 8 red fish and 1 black fish, the lucky number of fish, for attracting auspicious chi energy. 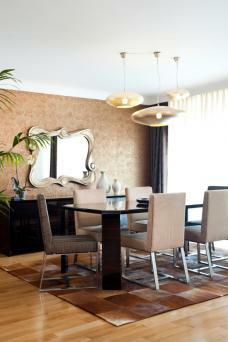 An old feng shui remedy for finances is to hang a mirror in the dining room so that it reflects the dining table. The dining table is a symbol of a family's abundance since meals are served here to nourish and support the family. A mirror will double abundance. Just be sure that the mirror doesn't reflect an exterior door or opportunities and money will be bounced right out of the house! If you have mirrors in the bedroom, remove any that reflect the bed. Old feng shui traditions teach that a mirror reflecting the bed will create infidelity by inviting a third party into a marriage bed. If the mirror is part of an armoire that can't be moved, then cover up the mirror part. Mirrors generate the water element, an element that should never be introduced into a bedroom, so consider just getting rid of all of them. Water is a high powered energy that creates restlessness and illness in a bedroom. The bathroom is dedicated to carrying waste water (dirty water) from the home. To keep it contained within this room, always keep the bathroom door closed. In addition, keep the toilet lid closed when not in use and especially when flushing the toilet to prevent family wealth and finances from being flushed from the house. One of the best ways to improve work and finances is to move your desk to the command position of the room. The command position is facing the door that opens into your office. Whether your office is strictly at home or you have one at home and in another location, it's important that you move your desk to this position. Make sure that you sit with a solid wall behind you and not a window. A window will not offer you any support in your work or career. The southeast sector is the wealth sector and can be activated by good luck charms and feng shui cures. Stimulate it by adding the element of wood, like a jade plant, or a symbol of wealth, like three Chinese coins tied together with a red ribbon. A three-legged toad with a Chinese coin in its mouth is also an auspicious symbol of wealth. A water feature will feed the wood element and stimulate a growth in wealth. Be sure the water flows into the home and not away. When you implement these 10 feng shui principles, some results will be immediate while others may take longer to see the results. You can reap big results when using feng shui guidelines for placement. If you do nothing more than maintain a clutter free home, the chi energy will begin to flow throughout your home bringing you auspicious results.